News from LMCU: Max Rewards—Stuff Your Stockings Without Emptying Your Wallet. Max Rewards—Stuff Your Stockings Without Emptying Your Wallet. 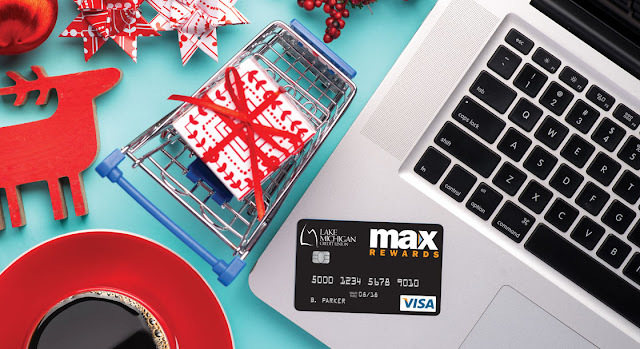 From stocking stuffers to ugly sweaters, gas to groceries, LMCU’s Max Rewards Visa Credit Card pays you cash back or points on every purchase—including 3% on gas, 2% on groceries, and 1% on everything else. And if you’re a Signature Max Rewards Credit Card cardholder, you’ll also get 2% back on restaurants and dining. It happens automatically with every purchase, so Santa can be extra generous this year. Get a card today! Call (800) 242-9790, visit any LMCU branch location, or apply online at LMCU.org.